The fact that fluoride suppresses thyroid function has been known for over 50 years. Avoiding fluoride is prudent advice for anyone with hypothyroidism. We are not doctors, please see our blog post on thyroid-s.com for more. We have included two free samples of the 40gram size of this product. 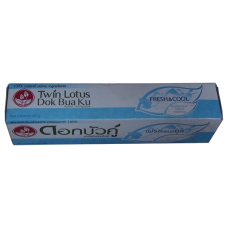 it is a very popular all-natural, fluoride-free toothpaste which is readily available in Thailand. It has a wonderful refreshing peppermint taste. 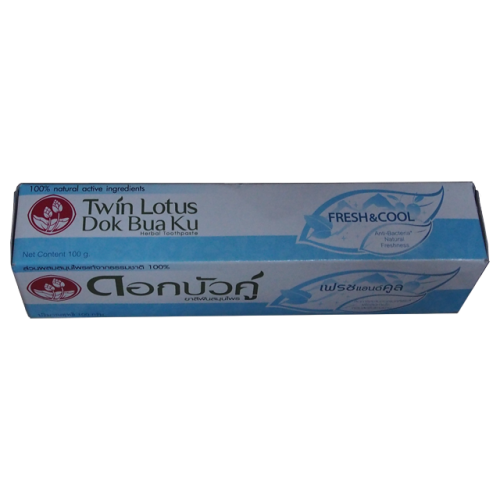 The herbal ingredients are not bleached or chemically processed, so they impart their natural color to the toothpaste. I just wanted to warn you ahead of time. The color is GREY/BLACK. This product is available on Amazon, and most reviews are very positive. If you can get past the color, give it a try, and let me know what you think. I have been using it for years, and I love it. Ingredients: Calcium carbonate, Sorbitol, para cress, water, sodium lauryl sulfate, hydrated silica, glycerin, toothbrush tree, clinacanthus nutans, orange jasmine, menthol, wintergreen oil, eucalyptus oil, tetrasodium pyrophosphate, xanthan gum, sodium benzoate.